The Centers for Disease Control and Prevention (CDC) reports that there are 29.1 people in the USA with diabetes, or 9.3% of the population, and estimates that 8.1 million people have the disease but have not yet been diagnosed. A recent study of European adults revealed a significantly increased risk of diabetes for those who drink sugar-sweetened drinks such as soda, the L.A. Times reports. The research study evaluated the habits of more than 25,000 people in England, and raised a red flag regarding preventing diabetes and the dangers of drinking sodas as well as other sugar-sweetened drinks. 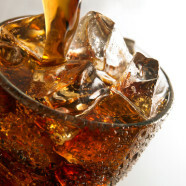 Drinking soda is a habit many people develop in their younger years, which continues into adulthood. Others may switch to milk and coffee sugar-sweetened drinks, which the study showed had an even higher risk. The added calories and sugar to a daily diet, in the study results, showed an increase of new cases of type 2 diabetes by 18%. For those who have concerns about developing diabetes or other dangerous health conditions, monitoring your sugar intake is an important point. Watching the amount of sugar consumed daily appears to be a factor in avoiding developing diabetes. The American Heart Association recommends limiting the level of sugar intake per day to 100 calories from sugar for women (6 teaspoons) and 150 calories from sugar (9 teaspoons) for men. One soda contains 132.5 sugar calories per serving – beyond the recommended limit for women and almost reaching it for men. When you add in any other sugar consumption, such as hidden sugars in many products such as cereal, bagels, yogurt and countless other foods, most Americans who are unaware of the risks are consuming far greater levels of sugar-based calories, and putting themselves at risk of developing diabetes, as well as other diseases. Many people developed bad eating habits at an early age. Cravings for sugar can indicate that your body has a deficiency, according to The Daily Mail. For example, this source reports that craving chocolate could indicate that you have a magnesium deficiency, which could be solved by eating nuts, wholegrain breads and leafy greens. Craving sugar treats could mean you are deficient in chromium. Chromium is a mineral that works in conjunction with insulin in moving glucose from the blood into the cells. Eating or drinking sugar-laden foods make matters worse, as the body then produces even more insulin, with a “sugar-crash” occurring shortly thereafter. Chromium-rich foods include beef, chicken, carrots, broccoli, whole grains and eggs, among other healthy food choices. Train yourself to reach for something else if you find yourself craving soda or other sweet treat that could have a very negative impact on your health. Listen to your body – it is talking to you, and all you need to do is how to respond with the right foods so you don’t compromise your health.